One thing is for sure: Tony Blair is really going to struggle with delivering Frank Sinatra’s “My Way” when it comes up on the karaoke machine at party nights in his twilight home. So far he has publicly regretted the (admittedly nominal) abolition of foxhunting and the Freedom of Information Act. Under pressure at the Chilcot enquiry, he also said he was sorry for the loss of life in Iraq. However, he is on record as having no regrets about removing Saddam, befriending Gadaffi or indeed remaining silent about baby Leo’s MMR jab. What else, in the fullness of time, might he come to see as a mistake? 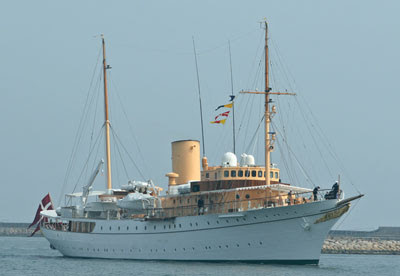 The most recent example of the benefit of hindsight came in the debate about a possible new Royal yacht, when it was revealed that Mr Blair now regretted getting rid of Britannia. An unsurprising revelation to all of us who pointed out at the time that it was an egregious error. The value of Britannia for projecting British prestige and promoting trade around the world was incalculable, though arguably it could have been worked harder for this purpose. I can vividly recall the surge of pride I experienced each time I saw her, even when being rudely awoken by a destroyer’s 21-gun salute as the yacht appeared through the mist at the start of Cowes week. Since this column was recently maligned as Tory propaganda, let me concede that her demise was not Mr Blair’s fault. The decision to decommission the ship was taken by the Major government, which then decided in 1997 that it would spend £60 million on a new yacht, scheduled to enter service in time for the Queen’s Golden Jubilee in 2002. Cue outrage from Labour in general, and Gordon Brown in particular, who had not been consulted prior to the announcement by then defence secretary Michael Portillo. 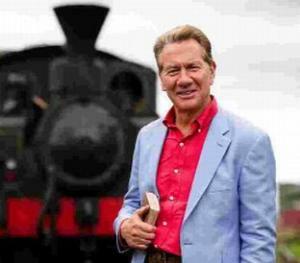 It is good to note that he has since moved on to a career evidently more suited to his talents, spotting trains on TV. How could a country in Britain’s dire economic state waste that sort of money? That was the question being asked as we poured £800 million down the useless black hole of the Millennium Dome. Now the cost of a new yacht has apparently risen to an eye-watering £80 million. Precisely what we are about to squander on opening and closing ceremonies for the London Olympics that will be over in a flash and doubtless occupy little space in our collective memories. 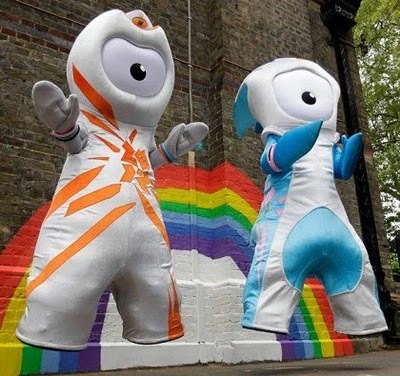 The London Olympic mascots apparently hanged. Not at all a bad idea. 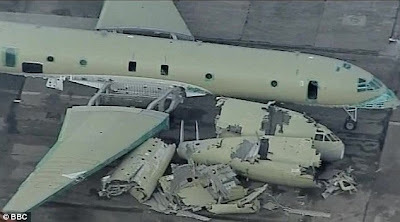 For comparative purposes, it might also be interesting to tot up the countless billions of taxpayers’ money wasted over recent years on endless reorganisations of the health service and education, grotesquely overpriced private finance initiatives and defence procurement projects that have delivered nothing but scrap metal. But who needs taxpayers’ money? I for one would be happy to contribute to the cost of a new national flagship, if someone opened a bank account for that purpose. Come to think of it, I am surprised that those industrious gentlemen in West Africa, who are forever e-mailing me about my lottery wins and deceased relatives, have not already got in on the act. It would be a nice gesture if a certain lightly taxed, globetrotting, multi-millionaire retired PM with an uneasy conscience could chuck in a few quid, too. Personally I would simply confiscate Britannia from those ungrateful Scots in Leith, bung in some new engines and set her back to work. But if a new vessel that also provides sail training opportunities for young people has more appeal to the popular imagination, then that’s fine with me, too. 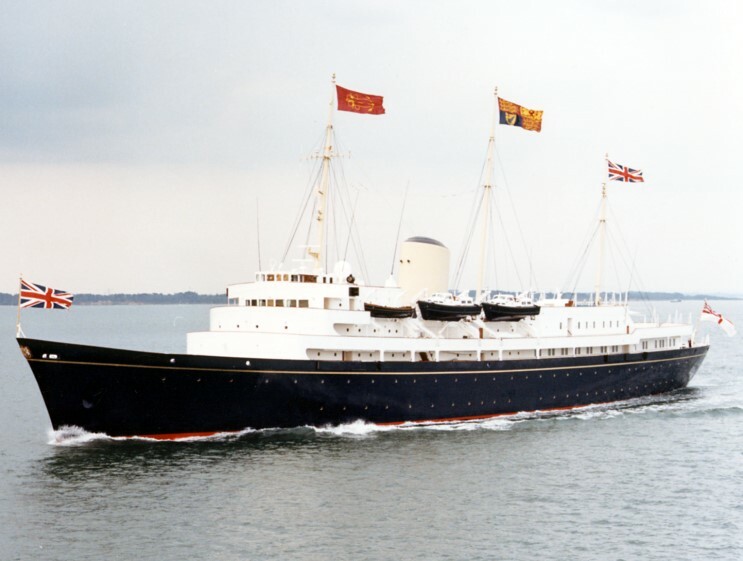 Though I would still tow Britannia somewhere a bit more attached to the concept she is named after. Like the Tyne, for example. Perhaps with a grand re-opening featuring ex-Prime Ministers performing karaoke. That should make Her Majesty smile. I missed your column last week also, but figured you had your reasons and hoped allwas well with your Mrs. and darling Charlie. As for the Britannia... took so many pictures of the Queen and Prince Philip sailing up the Delaware River arriving in Philadelphia during our bicentennial in 1976, that when lined up and rapidly flipped, one can watch the Britannia sail under the Whitman Bridge and pull into port and the pair descend. The beginning of one of the most exciting days of my life. Before it was done, I had not only seen the Royals close up, but had a brief exchange with HRH The Duke of Edinburgh as well as having acquired a hurtful sunburn.